Microsoft's Research team debuted Artificial Intelligence (AI) chatbot, Tay, designed to develop greater understanding of natural conversation by its interactions with social media userbase, presumably aimed at millennial who think Microsoft’s Cortana is a bit staid and old fashion. The chatbot now active on Kik, GroupMe, or Twitter, means you can begin interacting with Tay right away, as it's quite hilarious and worth checking out. Tay is designed to engage and entertain people as they connect with each other on social media through casual and playful conversation. And the more you chat with Tay the smarter she gets, so the experience can be more personalized for you. Tay was built by mining relevant public data by using AI and editorials developed by a staff including improvisational comedians, with anonymized data as its primary data source. Albeit, it is targeted at people of 18 to 24 year olds in the U.S., the very dominant users of mobile social chat services. 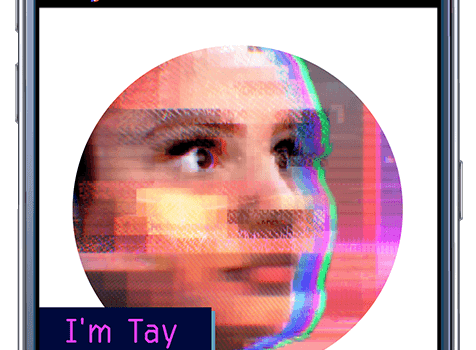 While Microsoft Research has gained a reputation for virtual assistant teasing, it just won't stop now, as Microsoft’s chatbot, Tay - self-described as “AI fam from the internet that’s got zero chill” is taking the fun to the next level. Well, for all the Harry Potter junkies in the house, there is an interesting twist in the whole story, which has given rise to "Voldemort - Origins of the Heir", a non-profit fan film inspired by the Harry Potter universe. It comes from the passion of four young men: Gianmaria Pezzato, Stefano Prestia, Davide Panizza, Simone Panza for cinema and good stories, and they're the people behind Freshscream Production, an independent production house, which has under its belt some good number of short-films and videos. 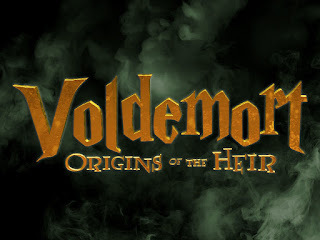 Voldemort - Origins of the Heir movie was born while re-reading the sixth book of the saga, Harry Potter and the Half Blood Prince. And there is a particular scene, in which Tom Riddle returns to Hogwarts to ask Albus Dumbledore for the Defence against the Dark Arts professorship. After graduating, Tom Riddle disappears for ten years. Then, suddenly, he reappears at Hogwarts. What happened in those years, and what really went down at Hogwarts when he came back? There are some clues in the books – which have not been transposed at all in the cinematographic representation, but a lot goes unspoken. This is the story we want to tell: the rise of the Dark Lord before Harry Potter and his first demise, says Gianmaria Pezzato, the film director. Meanwhile, during the two-months campaign the Freshscream team will share backstage videos and various easter-eggs. The Freshscream team, however, have decided to rely on crowdfunding to carry out this project, and thereby giving the possibility to donate to anyone interested in seeing the project completed. If you're interested to join the people who what to make it happen by funding the film, you can do so on Kickstarter. Now, imagine the possibility of paying a cashier through mobile, without your phone leaving your pocket, that's exactly what Google is working on its Android Pay system, with verification by facial recognition. While, Apple Pay has been the undisputed champion security wise - with your card details not stored at all, replacing it with a unique Device Account Number and a one-time code generated for every single transaction. Apple Pay only requires iPhone users to only hold out their device with their finger on the Touch ID button, while Apple Watch owners simply raise their wrist to the reader to initiate payment. The swipeless mobile payment using Near Field Communications (NFC) technology of Apple Pay is now rivaled by Google its Hands Free payment service. Google's facial recognition service is designed to allow you to pay for things without you doing a single thing, walk up to the cashier, and say you want to pay with Google, smile and walk away with your purchases. It uses Bluetooth and WiFi connections alone with location sensing capabilities in smartphones to detect when someone is near a store enabled with Hands Free payment technology. Google is experimenting at some locations with cameras in stores to recognize people with Hands Free digital wallets so they could pay without even pausing. Albeit, security falls considerably short of that offered by Apple Pay, Google's wallet emphasis as to never to share your credit card details with the store, and your payment details only shared with the payment processor is quite reassuring. As Opera continues to lose mobile users on its renown Opera Mini browser, owing to the growing number of smartphones adoption, especially Android-based devices, Chrome has been enjoying greater patronage than ever before. Opera resorted to very frequent updates to improve its browser's usability, with the introductions of QR code reader, night mode, more data compression modes, and has even now started rolling out an update in Opera Mini for Android with enhanced video streaming features. The new update to Opera Mini 15 is the "video boost" feature which Opera browser has been known for long, enabling users to see less of the video-buffering wheel. Opera utilizes its Rocket Optimizer technology to compress up to 60% of the video, which reduces the video-buffering, and results faster loading and less bandwidth consumption. Other new features in Opera Mini 15 includes: option to compress media and save data on a WiFi connection, support for uploading and downloading files from the SD card on select devices, and the option to shrink the size of an image before uploading. Additionally, users can now change the status bar color on upgraded devices, to match the environment (for Lollipop and Marshmallow devices only). The biggest Opera Mini 15 update remains the video compression feature, which reduces the video size, serving up slimmer videos on mobile and keeping data plans in check. You can get Opera Mini for Android free from the Google Play Store. 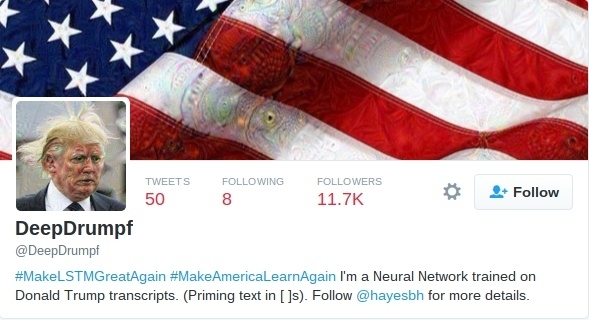 Twitter handle @DeepDrumpf, created by Brad Hayes, a postdoctoral associate and AI Researcher at MIT, uses deep learning inspired by an existing training model, as well as a recent report that analyzed the presidential candidates’ linguistic patterns to construct Donald Trump speeches at a fourth-grade level. While deep-learning is a field of artificial intelligence (AI) that uses neural networks to teach computer to to find patterns on its own. Trump's Twitterbot creates Tweets one letter at a time, essentially learning through an underlying structure from all the data it gets, and then comes up with different combinations of the data that reflect the structure. The bot, for instance, may randomly begin to create Tweet with the letter M, somewhat likely to be followed by an A, then K, and so forth, until it types out Trump’s campaign slogan, "Make America Great Again." It then starts over for the next sentence and repeats the process until it reaches the 140-character limit. Albeit, Trump’s Twitterbot doesn’t always make complete sense with its Tweets, but at least its partially coherent - much like the candidate himself. It interface with Trump’s Twitter account, allowing the algorithm to tap the language from the real Trump’s Tweet, which primes it to give a response that is even more likely to be contextually relevant. Brad, however, thought that this would be a good way to learn more about some of the concepts of AI, and have a little bit of fun in the process. Deep Learning: What's behind Donald Trump's Twitterbot? Virtual Reality (VR) has gone forward in leaps and bounds in 2015 with all the major manufacturers of VR headsets releasing prototypes and designer versions. Although, there is no finished product in the market except for Samsung Gear VR, we feel that the future is bright for the technology as a whole. Even though the initial focus is on gaming, the technology can evolve to cover a range of areas, including applications in communication, virtual classrooms, architectural visualization and much more. Imagine the possibility of being joined by a foreign exchange student virtually; or, going into the human system to better understand the different functions. Or even better, being able to view organic chemistry and what the structures actually mean. While those are still far away. 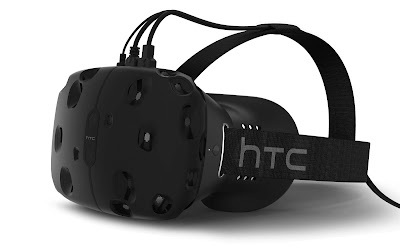 So, let us review the options that are available now in terms of VR products. This is the product which restarted the mass scale interest in VR after the 90’s fiasco. It has been attempted before, but limitations in technology held the products back in realizing their true potential. First released in late 2012, the DK1 was immensely successful and they were able to raise the minimum amount for their campaign very easily. Their DK2 launched in 2014 was of similar success and now, the final product is set for release in Q1 of 2016. Although, an official price has not been announced yet, it will be between $200-400 USD. It will have 1080p resolutions and an external tracking device included in the package. This is not the first venture of Sony into VR; Sony released a VR Headset back in 1997 named Glasstron, but it wasn't successful. 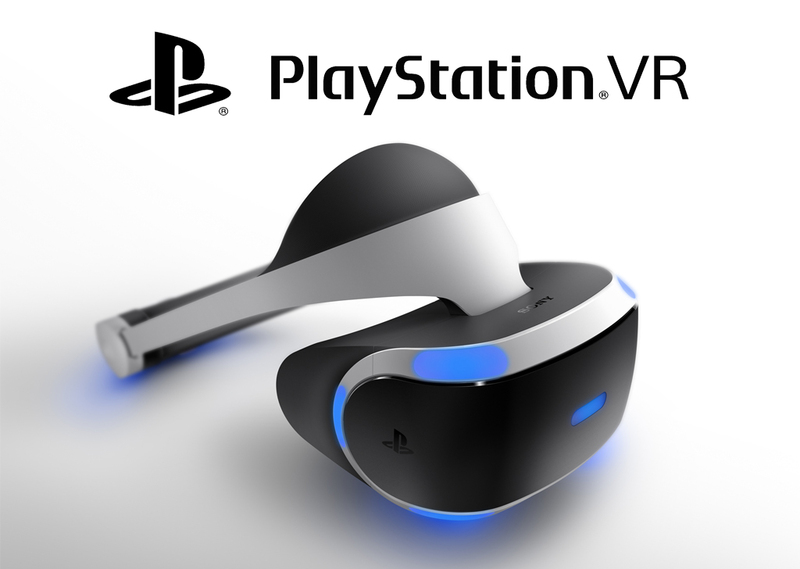 However, the public came to know about its latest venture in 2014, when R&D team released info on a new VR headset, which had been in the works for 3 years already. The expected date of release is also somewhere in the Q1 of 2016, but unlike Oculus there has not been an official announcement yet. This VR boasts 2k HD displays each and a separate one for the TV. It has the added advantage of being compatible with its existing gaming system. This is one of the later ventures by HTC into VR space. It was announced in 2015 and was rumored to be ready by the end of 2015, but the release has been subsequently shifted to next year as well. Steam VR offers some cool features as well. It has a built in microphone and a tracking system which can track your movements across a 15ft by 15ft room. This also features 1080p resolution on each display. In terms of immersion, this is perhaps the top rated of the 3, yet. This is the result of a partnership between Samsung and Oculus. 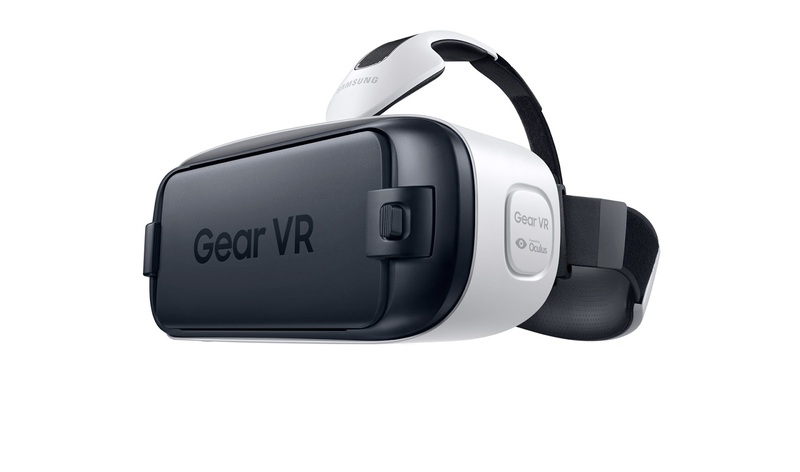 It converts select Samsung phones into mobile VR units. The result is that you can get a balanced taste of VR. Meanwhile various app developers have released games for this platform. It has an official price tag of $99 and is currently available in the market. 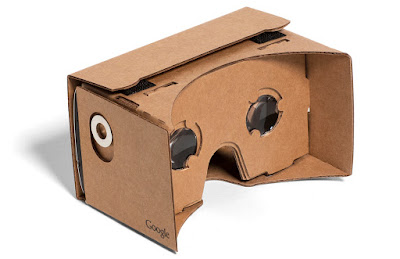 Google being Google, released its own VR headset; albeit a cheap one which can be printed and made at home with just a few items. It turns any smartphone into a basic VR headset. The quality depends on the resolution of the screen. However, it was an ingenious addition, which has helped the VR industry by providing cheap access to developers and general public, so that they have a better idea about the actual products. Google is no longer making these kits, but many third parties approved by Google are still churning these out. With fingers crossed, we all await some new consumer products to be launched in the VR sector; however, the current experiences are enough to proclaim that even those finished products will be just the first step. There are still issues such as nausea upon use, due to human brain’s hardcoded mechanisms against jerky movements. However, competition is always a healthy sign; and many game developers are making games specifically for this tech. 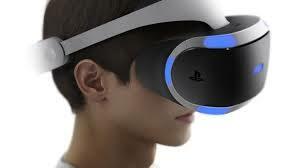 Third party companies are also working on accessories that would make the whole experience more immersive. These range from motion controllers to special treadmills, so that the limitations of wired play can be countered. The future is definitely bright for it as a whole and hopefully, the kinks will be ironed out before their final release. 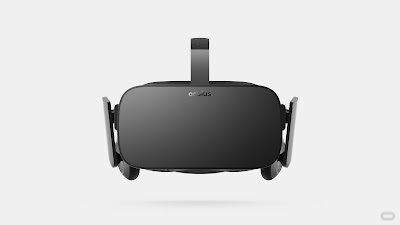 Guide to VR Products: Virtual Reality is the way forward! WhatsApp scrapping the subscription fee, got many people wondering how the company will go about generating revenue for the service from its huge user base without ads targeting, which definitely isn't what users will accept for privacy issues. 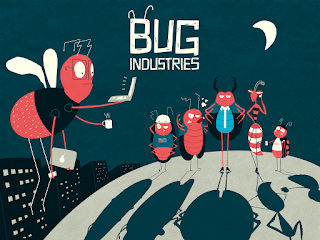 While the reason for scrapping the fee is pretty more than simply moving to a new revenue model, the company had been open about testing tools that allow users to communicate with businesses on the platform. Albeit, messaging apps for teams to communicate within an organization is already a crowded space, WhatsApp will be leveraging on its user base to scale the competitions. WhatsApp has introduced document-sharing feature with initial support for PDFs, that lets you send files directly through the popular messaging service. Perhaps, that's the first call in the expected bevy of new tools that the company promised releasing this year to allow users to communicate with businesses and organizations on the messaging platform. WhatsApp B2C shift will require additional security measures as businesses will want to make sure that their private information are safe, and the company is working on adding more encryption to the service. However, it remains to be seen whether WhatsApp plans to charge any extra fees for services, such as Business Account, and end-to-end encryption, as a new revenue strategy. Folks, Gear up for WhatsApp for Business! The term "Internet entrepreneur" denotes an owner, founder or manager of an Internet based business enterprise, and specifically covers every aspect of online business endeavors. While choosing the right bank is a critical decision when starting up any business, it is even more so when it is an online business. Research has shown that most businesses stay with their current financial institution whatsoever be the situation, and not looking around for better deals. For an online business to thrive, there must first be an effective payment gateway for online payment processing, which financial services can be provided by the bank. Directly or indirectly, the bank controls your online transactions, either when paying for services or accepting payments. With the Central Bank of Nigeria (CBN) imposed new foreign exchange controls, banks are adjusting the limit individuals can spend using foreign currency. 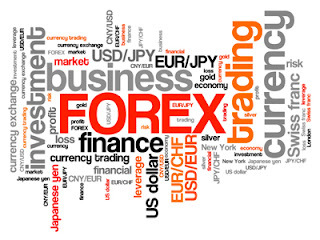 The new foreign exchange controls have forced retail banks to buy dollars from the CBN to settle international payments made by their customers. The onus of the matter is that Internet entrepreneurs has been shortchanged by the rather rash policy. Imagine a situation you have to pay double the exchange rate for the dollar, when paying for hosting services and the likes, and the same bank places half the value on the dollar funds on your domiciliary account. The country’s Internet Entrepreneurship scene remains one of the most promising, and most exciting part of Nigeria’s growing economy. Therefore, this ill-fated policy needs total scrapping to save what is left of it. Internet Entrepreneurship: Why CBN's new Policy is a farce? WhatsApp has recently announced ending support for several aging and little-used operating systems by the end of 2016, which includes all versions of BlackBerry OS, Nokia Symbian S40/S60, Android 2.1 and 2.2 (Eclair and Froyo), and Windows Phone 7.1. devices. WhatsApp already claims a user base of up to one billion, making it the single most popular messaging application. Back in 2009, when WhatsApp was launched, about 70 percent of smartphones sold at the time had operating systems offered by BlackBerry and Nokia, and people's use of mobile devices looked very different from today. 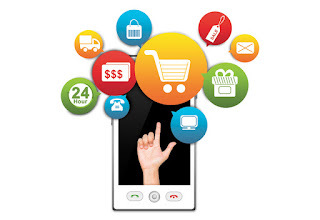 Now, fast forward to 2016, Google, Apple and Microsoft accounts for over 95 percent of smartphone sales today. The main reason for discontinuation of support for affected mobile devices is because they don't offer the kind of capabilities needed to expand the app's features in the future. WhatsApp also stated that it wants to turn its focus on “the mobile platforms the vast majority of people use” instead of supporting legacy operating systems. However, when an app with the kind of user base as WhatsApp starts dumping platforms — a large chunk of users will definitely be affected, as the messaging platform is increasingly a “must-have” app for everyday communication. The company has recommended upgrading to a newer Android, iPhone, or Windows Phone before the end of 2016 to continue using the app, albeit no specific date has been set for the end of support. WhatsApp: When Quality outweighs sheer number of Users!